Drive Culture I’m driving six basketball players to practice: minivan or SUV? Richardson: You want to carry seven people, presumably fairly long-legged, and sports equipment? Don’t even think about a three-row SUV. A minivan is your only option, other than a school bus. Lightstone: Now hold on a second here, Mark. You’re being presumptuous. Let’s keep in mind that I played basketball in high school, and even now, I can easily fit into the third row of an SUV. Richardson: Sure you can. But if you’re sitting back there, there’s no room for luggage. It’s one or the other with SUVs. The seat backs of the third row can be raised to create seats, or laid flat to create luggage space. But when they’re raised for seats, there’s barely room for a basketball behind them. Lightstone: That may be true of some models, but Jeff needs to check out a Chevrolet Traverse, which will carry seven adults and has an impressive 651 litres of cargo space behind the third row, and that includes a 22-centimetre storage space below the cargo floor (for even more equipment). Oh, and it sits well within his $50,000 budget for a well-equipped model. Richardson: Seven adults? They’ll still need to be pretty small adults in the very back. Third-row seats generally find their space by sacrificing leg room and those basketball players are going to have their knees up against their chins. Minivans, however, thanks to their flat floors, which aren’t raised high to pretend they’re rock-climbing SUVs, have as much room in the back as the front, with luggage behind. Lightstone: So you don’t like the Traverse? Richardson: It’s a good SUV and it’s good value for money – no argument there. It really depends on how much time Jeff spends carting around six other people. If he uses the vehicle as his daily driver, with occasional use as a people mover, then maybe the Traverse will work for him. But it sounds like he wants a bus. 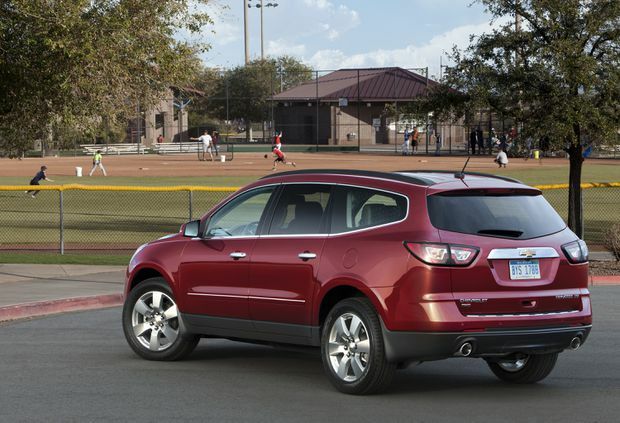 Lightstone: Fun fact: The Traverse can actually seat eight people, but only in its cheapest trim. Pay extra and the second row is only sold with a pair of chairs, putting it back down to seven people. Richardson: And if you want a properly powered Traverse, with the V-6 engine, all that weight is going to give you an official combined fuel consumption of at least 11 litres/100 km. But if Jeff is driving mostly in the city and he buys the Chrysler Pacifica plug-in hybrid instead, he’ll be down to an official 7.3. 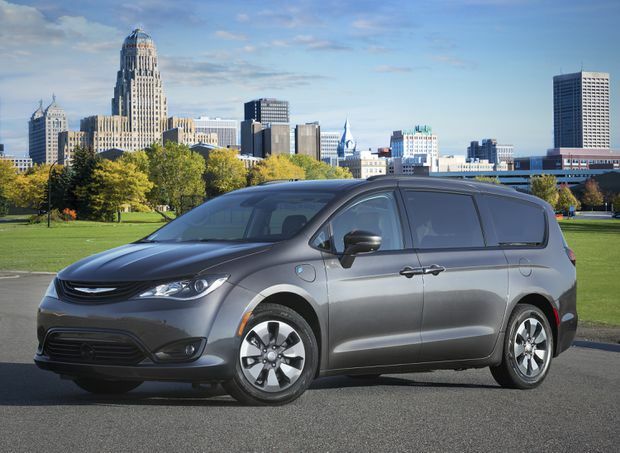 Lightstone: The Chrysler Pacifica plug-in hybrid does great in the fuel-efficiency and interior-space departments, but not on the price point. Not unless Jeff is buying the hybrid in Ontario, which will knock $14,000 off the starting price of just less than $45,000 for the base model. Richardson: You’re right. The hybrid Pacifica only really makes financial sense in Ontario, with that big rebate. And the hybrid keeps its batteries below the floor, so there’s no space for Stow ‘n Go seating that tucks away flat, which is a huge selling point. Lightstone: Don’t forget the suburban stigma of owning a van. Yet, minivans are incredibly practical and are just as pleasant to drive as cars and perhaps even more so than SUVs. 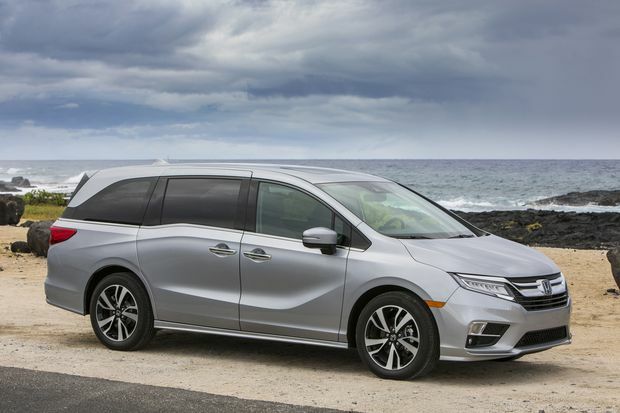 And while I still think an SUV such as the Traverse could pull off the basketball kids-plus-gear lifestyle, if it’s a van we want to recommend, I’ll always go to the Honda Odyssey first. Richardson: Fair enough. Honda’s been making a premium minivan for years and getting it right with every generation. It’s expensive if you load it up, as with the Pacifica, but Jeff can drive away with a nicely equipped Odyssey for less than $50,000 after taxes. Lightstone: He’ll have room for people and equipment, and it even includes the built-in vacuum cleaner at that mid-trim level. Richardson: That’s just a gimmick. But Honda’s never had a major problem with the Odyssey, so it will hold its value for a long time. It’s the safe bet all around. How should I finance my new car?